Although the transit of Venus is certainly a rare event in the heavens, why would a scientist be interested in it? It all had to do with something as simple as the size of the solar system. When you make a scale model of the solar system with its nine planets, how do you know that in this model, the actual distance from Sun to Earth is 93 million miles and not, say, 153 million or 23 million? The answer is that you have to come up with a way to actually measure this distance. 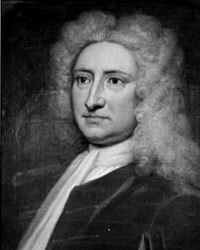 Sir Edmund Halley (1656-1742), the namesake for Halley's Comet, made the same suggestion 14 years later in 1677 and published an important paper on the details of this technique in 1716. In science, it is not always 'being first' or 'being correct' that gets you into the history books. Although the Sun-Earth distance did get refined enormously during the transits of 1761, 1769, 1874 and 1882, transit measurements turned out to be harder to perfect than scientists had anticipated. But the focus on Venus at this crucial moment led to another, even more exciting discovery. 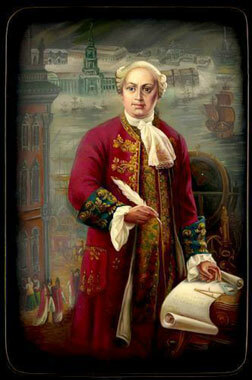 During the transit of June 5, 1761, which was observed by 176 scientists from 117 stations all over the world, the Russian astronomer Mikhail V. Lomonosov (1711-1765) discovered a very strange thing. Instead of the very black disk of Venus sliding into the Sun's bright edge, it actually grew a beautiful halo of light all around its dark edge. The halo lasted only a few minutes and then vanished. With great insight, Lomonosov figured out that this is exactly what you would expect to see if Venus had an atmosphere! 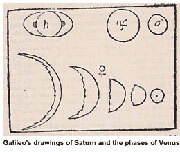 His drawings below show some of the details that he noted about the edge of Venus near the Sun. Hundreds of photographs were taken of the next transit on December 8, 1874. This was the first use of the new technology. Few photographic plates turned out to be scientifically useful, and only a few were actually preserved for us to look at today. 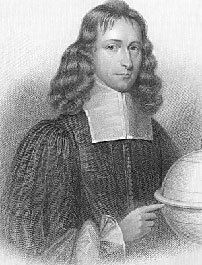 Eight American expeditions were organized by the Transit of Venus Commission, with astronomer Simon Newcomb as Secretary. 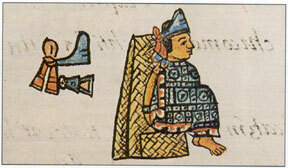 The U. S. Congress set aside funds totaling an astounding $177,000 for the expeditions. Over $1 million were expended internationally. The transit was still, largely, a scientific curiosity, but for the first time we begin to see more curiosity about this phenomenon in the newspaper accounts. This lack of news-worthiness all but vanished for the next transit. There was enormous public interest in the next transit on December 6, 1882. It made the front pages of every national and international newspaper, with lavish full-length articles covering several pages. Was the public now intrigued by this event? It would seem so! Newspaper accounts give us lots of details. 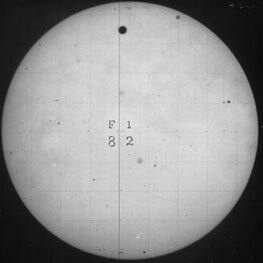 During the 1882 transit, direct timing of the transit was all but abandoned, and thousands of photographs were taken instead - with better calibration techniques. In the end, it took nearly ten years for the thousands of photographs to be properly measured, and their data pushed through complex mathematical calculations. There was a huge amount of data to sift through in order to calculate the Earth-Sun distance, and there were only a few astronomers that the international community trusted to carry out the complex calculations. The two most noteworthy individuals were Simon Newcomb (left)and William Harkness. (right). 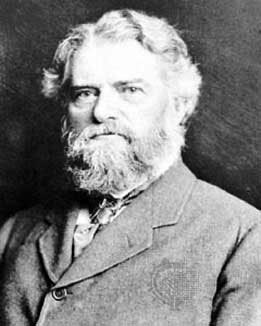 Simon Newcomb, who was in charge of the U.S. Venus Transit Commission, published his best estimate of the solar parallax angle in 1891, based on all of the assembled data from several transits, he deduced a value of 8.80 +/- 0.051" for the parallax angle, and a distance from Earth to Sun of 92,702,000 +/- 53,700 miles. William Harkness, the Director of the U.S. Naval Observatory, deduced a slightly larger value for the parallax angle of 8.809" +/- 0.0059", which translates to a distance of 92,797,000 +/- 59,700 miles. His result, however, was never formally published in the professional journals. In the end, Newcomb's value, and not the one by Harkness, was adopted in 1896 by the international scientific community. The difference between the two answers was a statistically insignificant 95,000 miles! Of course today, most textbooks report the Astronomical Unit (or AU) as '93 million miles'. Yet, Harkness may have had the 'final word' on this transit in other ways than in the details of its measurement. "We are now on the eve of the second transit of a pair, after which there will be no other till the twenty-first century of our era has dawned upon the earth, and the June flowers are blooming in 2004. When the last transit season occurred the intellectual world was awakening from the slumber of ages, and that wondrous scientific activity which has led to our present advanced knowledge was just beginning. What will be the state of science when the next transit season arrives God only knows. Not even our children's children will live to take part in the astronomy of that day. As for ourselves, we have to do with the present ..."
"While steadily looking at the exquisitely beautiful sight of the gradual advance of the planet, I became aware that there were other objects besides Venus between me and the sun. They were the snowflakes, which again began to fall rapidly. I must admit the phenomenon was singularly beautiful. The telescopic effect of a snowstorm with the sun as a background I had never before seen. It reminded me of the golden rain which is sometimes seen falling from a flight of sky-rockets during pyrotechnic displays; but I would gladly have dispensed with the spectacle, for it necessarily followed that the sun and Venus again disappeared from view. Still, to have seen even a part of a transit of Venus is an event to remember for a lifetime, and we felt more delight than can be easily expressed at even this slight gleam of success. The clouds at length dispersed, and this time Venus had so completely entered on the sun that the distance from the edge of the planet to the edge of the sun was about twice the diameter of the planet. We succeeded in obtaining sixteen measures altogether, but the sun was now getting low, the clouds again to interfere, and we saw the pursuit of the transit must be left to the thousands of astronomers in happier climes who had been eagerly awaiting it. But before the phenomenon had ceased, I spared a few minutes from the somewhat mechanical work at the micrometer to take a view of the transit in the more picturesque form which the large field of the finder presents. The sun was already beginning to put on the ruddy hues of sunset, and there, far in on its face, was the sharp, round, black disk of Venus. It was then easy to sympathize with the supreme joy of Horrocks, when, in 1639, he for the first time witnessed this spectacle. The intrinsic interest of the phenomenon, its rarity, the fulfillment of the prediction, the noble problem which the transit of Venus helps us to solve, are all present to our thoughts when we look at this pleasing picture, a repetition of which will not occur again until the flowers are blooming in the June of A. D. 2004." 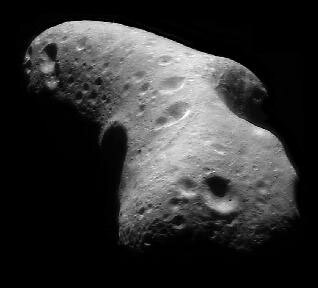 In 1931, parallax observations of the close approach of the asteroid Eros by British astronomer Harold Spencer Jones offered an even more precise value for the 'Astronomical Unit' of 92,596,000. Once astronomers began bouncing radar signals off Venus in the 1960's, even more precise values could be derived from the travel time of the reflected radar pulses. The current super-precise value for the Astronomical Unit stands at 149,597,892.3 kilometers (92,955,820.3 miles) with an uncertainty of 1.5 kilometers. The earlier discovery of the atmosphere of Venus by Lomonosov inspired astronomers during the 1874 and 1882 transits to use a new technology called spectroscopy to detect the elements in the atmosphere. But all they could conclude, and wrongly, was that there seemed to be a lot of water in the atmosphere. Then in 1934, astronomers Walter Adams and Theodore Dunham used even more refined spectroscopic instruments to finally detect a gaseous component to the atmosphere. It wasn't nitrogen, oxygen or any other simple gas, instead it was carbon dioxide. Lots of it! In fact so far as they could tell, carbon dioxide was the only constituent of the atmosphere. Decades later, astronomers also discovered traces of sulfuric acid, and went on to make the first measurement of the surface temperature of Venus. It was hardly a moist, tropical and humid planet like some science fiction stories had claimed. Instead, its surface was at a sizzling temperature of over 800 Fahrenheit with an atmosphere thick enough to crush any human or machine not properly protected. For additional historical information about the transit of Venus, please visit the Smithsonian Institution's Dibner Library 'Chasing Venus' exhibit which debuts on March 23, 2004 in Washington, DC. Their resources, including a substantial archive of historical documents, will appear online at the Chasing Venus.